There is a 33% increase of voters since 2008. US citizens may be sick of this nearly two-year-long presidential race, but that doesn’t mean they’re staying home on Nov. 8. In fact, Americans have never appeared more eager to vote. More than 200 million people are now registered to vote, the largest amount ever recorded in the country’s history. When Barack Obama first ran for president in 2008, only 146.3 million people were registered. This enormous surge is thanks to effective voter registration organizations. But their work couldn’t have been possible without the help of the Internet, which makes registering to vote far more convenient and approachable. In the past 8 years, online voter registration has become the norm. And the rise of voters benefits one party in particular: the Democrats. In the top 15 battleground states, TargetSmart found that 42.6% of new voters favor Democrats, compared to 29% of Republicans, and 28.4% independents. In every single battleground state, Democrats have the edge when it comes to new voters. “As we cross the threshold of 200 million registered voters for the first time, there are signs of an ever-diversifying electorate, and one that is more favorable to Democratic candidates,” Tom Bonier, CEO of TargetSmart, told Politico. 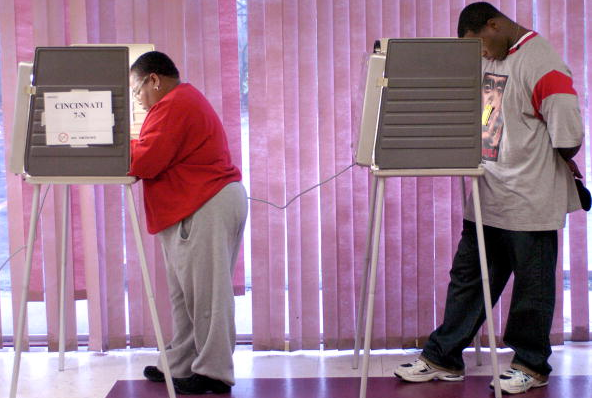 Two decades ago, there weren’t even 200 million people who could register to vote. Today, as the country grows, the electorate is changing to reflect a growing diversity. As the election approaches, even more people will register before the deadlines. And then, even more people will have their voices heard.